Never need to clean your gutters again. The property that makes water cling when it spills down the side of a glass is the secret behind Gutter Helmet. 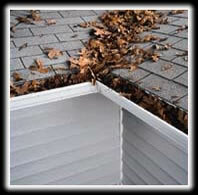 Water clings to Gutter Helmet and flows nicely into your gutters while debris falls away. A unique water adherent coating further enhances the patented surface tension design. In fact, Gutter Helmet can handle rainfall of 22 inches an hour – twice as hard as it has ever rained in the United States according to the Nation Weather Service. 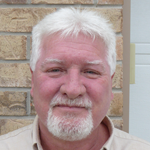 Gutter Helmet pays for itself by saving you money on gutter related repairs. 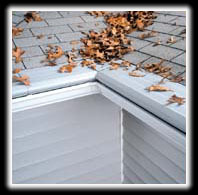 Gutter Helmet is made of heavy gauge aluminum and can be installed right over your existing eaves. The design adapts to most house and roof configurations, and you can choose from an array of colours to blend with your roof. Face it, you’ll never invest in anything as important as your home, so protect it the best you can. All without cleaning your gutters ever again.